DDVE station is a complete solution with T245 General Purpose Handle and DR560 Desoldering Iron. The DDE Control Unit manages up to 2 tools simultaneously and is fully compatible with 10 different JBC tools. Check below the complete list of compatible tools. 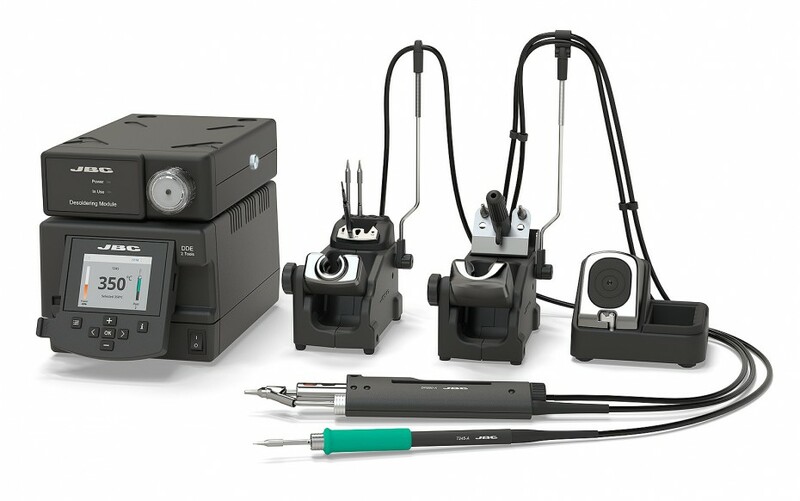 The MVE Pneumatic Desoldering Module generates the vacuum needed to remove the molten solder from plated through holes and surface mount pads with the DR560. (It requires clean and dry compressed air supply). With the practical Cartridge Holder SCH-A the different cartridges are always stored nearby.